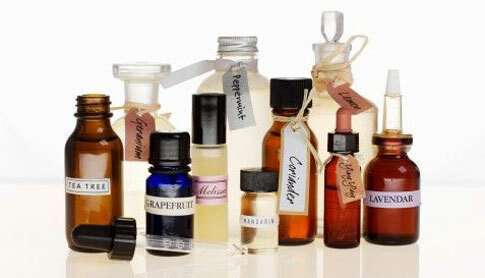 Essential oils used in Aromatherapy have been used for thousands of years because of their healing qualities. In Papyrus, translated hieroglyphics reveal that some Egyptian physicians had a thorough knowledge of the healing properties of essential oils. One translation reveals a recipe for inflammation of the eyes which includes Myrrh, which is still used today for its anti-inflammatory properties. Of course we’ve all heard of frankincense and myrrh, but do you know why they were considered such treasured gifts? It was because of their incredible scents, when used in perfumes (made from essential oils) or burned as incense. Frankincense is still considered a valuable antiseptic, astringent, cicatrisant, and vulnerary (both used to close and heal wounds). No wonder the Three Kings thought they’d make great gifts! Essential oils are not usually taken orally. In fact, it is believed that they are absorbed quicker into the bloods stream if they don’t need to travel through the digestive tract. You may not know that most everything put on your skin is absorbed. Essential oils, placed on the skin, are considered to be more rapidly absorbed and more effective. It is important to note that some essential oils can be skin irritants and are best not directly applied to the skin. However, just a few drops of most essential oils added to water or base oils can be therapeutically effective. Antimicrobials inhibit the growth of bacteria and fungi, making them very effective in ridding the body of infection. A few drops of Eucalyptus essential oil, added to a base oil such as jojoba oil, then rubbed onto the chest when the lungs are congested can be very beneficial. Eucalyptus is a natural expectorant which loosens mucus in the lungs, making a cough more effective, assisting the immune system in expelling the bacteria-filled mucus associated with a bad cough. Perhaps one of the most widely used and therapeutic essential oils is Tea Tree Oil. Tea tree oil has proven effective in treating nail fungus and athletes foot, both of which are resistant, even to the most potent of modern anti-fungal treatments. Tea Tree Oil is also known for its success in treating acne. Tea Tree Oil contains a constituent called terpinen-4-ol, which is thought to be the source of its anti-microbial properties. In some studies Tea Tree Oil was as effective as benzoyl peroxide, with fewer side effects, including itching, burning, dryness and inflammation. Lavender also has anti-microbial properties. The founding father of aromatherapy, and one of the first to publish text on Aromatherapy (“Aromatherapie”) in 1928, Rene-Maurice Gattefosse, a chemist, documented having discovered the amazing benefits of lavender after severely burning his hand in a lab explosion. He was actually studying the cosmetic uses of essences, and when he burned his hand he instinctively immersed it in lavender oil. The burn healed at an extraordinary rate, with no sign of infection and left no scar. Most essential oils have anti-microbial properties. Sometimes it seems that we take over-the-counter or prescription drugs, many of which have uncomfortable side-effects, for even the mildest of ailments. If you could treat symptoms effectively without harmful side-effects, or better yet, prevent infection when the first signs of an illness are realized, doesn’t it make sense to look into the benefits of essential oils? After all, if the Three Kings, thought the aromatherapeutic properties of Frankincense and Myrrh were worth traveling many miles to give as a gift, doesn’t it seem worth a short drive to your nearest health food store to pick some up for that nagging cough?